Dolby Atmos support rolling out Xbox One S Preview users this week. 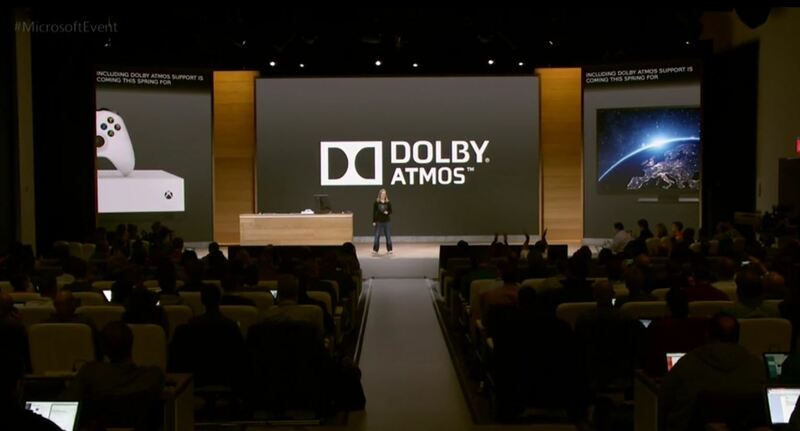 Microsoft has earlier announced that they are bringing support for Dolby Atmos in Xbox One S with the upcoming Windows 10 Creators Update. This is done via bitstream for 4K Blu-rays. Now Major Nelson has announced that the feature will be coming to Xbox One S Preview users this week. With support for HDR and Dolby Atmos, Xbox One S is really becoming a compelling Blu-ray player alternative. Experience richer, more luminous colors in games and video with High Dynamic Range (HDR) technology.